A little delayed but still delicious, it's this week's Nintendo Download for North America and a cracking week it is too. Let's get on with it. Cave Story (Nicalis, 1000pts) – The portable version of WiiWare's top notch Cave Story, this can hopefully live up to the standard of its home console predecessor whilst making some much-needed improvements. Our resident cavern expert is digging through this one and we'll have a thorough review up shortly. Frenzic (Two Tribes, 200pts) – Released in Europe last Friday, this cut prize puzzler scored plenty of awards in its previous states so let's hope it's just as playable on DSi. Our review will be ready this week. Spot It! Challenge (Big John Games, 200pts) – It sounds like a hidden object game on paper, but the photographs used to form the puzzles of Spot It! Challenge could set this apart from the competition. We'll cast our eagle eyes over it and let you know soon. Airport Mania: First Flight (Lemon Games, 500pts) – Already available on other formats (see here for more details), Airport Mania tasks you with getting a range of planes to their designated runways. New to the WiiWare version is a simultaneous four-player mode, which could result in air traffic chaos. We'll have our review soon. HB Arcade Disc Golf (HB Studios Multimedia, 1000pts) – Players familiar with Wii Sports Resort should recognise the sport of disc golf, but for the uninitiated it's essentially golf, with a flying disc. For 1,000 Points this might seem steep, but it can't be any worse than WiiWare's other entry in the genre, Zoo Disc Golf... can it? Cave Story (Nicalis) – Get a free slice of this title with a demo. 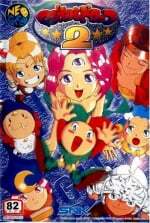 Magical Drop II (NeoGeo, 900pts) – A reasonably rare event these days: a Virtual Console game releasing in North America before Europe. This is a colourful and cutesy colour-matching puzzler that hopefully will be worth a pop. We'll have our review for you soon. Give thanks for the press release below and the bountiful information it contains. While the rest of your home might be cluttered with leftovers from a weekend of Thanksgiving revelry, this week's downloadable games from Nintendo provide a palate-cleansing mix of fun puzzles and challenges to start your week off right. The popular Cave Story™ makes its debut on the Nintendo DSiWare™ service, while a demo version of the game becomes available for the WiiWare™ service. Other Nintendo DSiWare games include the frenzied Frenzic puzzler and Spot It! Challenge, which tests players' ability to locate various objects. On the WiiWare service, travelers this holiday season will want to check out Airport Mania®: First Flight for a different perspective on the travel industry, while HB Arcade Disc Golf brings the popular outdoor sport into your living room. Finally, the classic 1996 NEOGEO game MAGICAL DROP II brings its balloon-bursting action to the Virtual Console™ service. Magical Drop 2 was an unexpected but welcom surprise. Too bad I already have Magical Drop F or I'd be interested. That Cave Story demo should help sway those who were put off by it's price. dangit..... of course the download that happens 2 days after my dsi breaks..... CURSE YOU REALITY!!!!!!!! WHY DO YOU HATE ME SO!?!?!?!?!?! Will download the CS demo. If I like it I might pick it up for DSi. Would rather have it portable, I think. Not sure, though. Plus I'd need to add points, so that stinks. Dear Americans, I thought it was Faxanadu for you. But, I'm sure that you will got this NES masterpiece. Downloaded Cave Story. Was 200 points short, but used mah Debit Card to add 1000. Then I decided to finally get Zenonia. Another week we knew everything that was coming to the DSiware shop. Well... I'll for sure download the CS demo along with the rest of the demos soon enough. EDIT: Tried out the demo, and, as I suspected, the game's just not for me. Oh well, nothing lost. I hope the dsiware version of cave story doesn't take as long as the wiiware version(which is out next week) to come to eu because I'll probabaly get that version because of it being portable. Looks really good this week! Downloading the CS demo as I type this! I personally didn't find the demo very helpful. It came off as being exactly the same as the PC version but with worse music and some touched up art. It gave me the sense that it wasn't worth my $12 for something I already got for free. Had it at least included the extra modes, even if they were locked, it might've been more enticing. @Mickey The full, paid version has the extras, and shouldn't you be able to change the soundtrack to the original version? You can do that too in the full game. Well... Magical Drop II is already available on a disc compilation, right? It's not that good for convincing previous owners of the PC original to pick up a paid copy, but I suppose it does its job for enticing newcomers to the game. "Well... Magical Drop II is already available on a disc compilation, right?" No, but MD3, which is essentially MD2 with extra characters and play modes, is on the Data East Arcade Classics collection, and I'd recommend getting that instead, although both are solid puzzle games. I just downloaded Cave Story today, it's pretty fun. This and Shantae are proof that the DSiWare service has quality games. We want DSiWare version too and soon. Wait... another demo? I thought they were just doing one group for the whole year, like last time. I'm glad to see Nintendo isn't dropping the ball. I own the full game already, but the Cave Story demo is decent. It gives you the various difficulty and new/old music and graphics options as in the full game, and starts you out just after what would be the introduction, when you fall into the village, and ends after completing the 2nd boss battle (which occurs upon finishing the first main area). when i get my DSi fixed i will buy Cave Story on DSi. What I thought was idiocy on Nicalis' part is actually evil genius, considering I told myself I would never buy it if it was over 800 because I already spent $12 on the WiiWare version and have the free PC one, but now I see myself downloading this as soon as I get the money. Now that Nicalis is done with Cave Story, hopefully they'll release Night Sky sometime soon in December! I can hardly wait for Fluidity, Night Sky, and Machinarium! Sweet, Cave story demo, 200 point cheaper version on DSiWare, and 2 weeks in a row (i think) for VC releases. Yay! Another great week! Hurray for DSiWare and demo Cave Story! Airport Mania sounds a lot like the iDevice/PSN (Not yet released on PSN in the US) game Flight Control. Flight Control is amazing, btw. I hope Airport Mania is something other than a cheesy ripoff of it. EDIT: Despite the description being similar, I did a little research on Airport Mania, and it actually seems to be a very different title than Flight Control. Even if it turns out bad, I still give it more credit than I would have if it was a decent ripoff of the excellent Flight Control. I'll probably get Magical Drop 2. Wish that Cave Story demo had been available a few weeks ago before I burned $12 on the full version. Stop releasing Magical Drops and release Lufia already! I just bought the WiiWare version 3 days ago, and then a demo shows up. At least I'm enjoying it. Gettin cave story for dsiware and the demo for wii. I'm downloading cave story right now... Hope it's worth it! VC gets a solid game. whatisthisidonteven. Not quite solid enough for me, as I'm not big on puzzles, but I appreciate that its there. I wish to pet it, like the cliche evil guy with the cat. Hey this week isn't that bad! I might get Cave Story and possibly Airport Mania. Cave Story on the go is Awesome! I'm looking forward to seeing a review of the Disc Golf game. Hopefully its much better than the last. @Token Girl: Yes, this IS the second week in a row with a VC release! Doubtlessly due to the lead-up to Christmas, just like last year. And just like last year, releases will probably lower in quality/volume just after the start of the new year. Oh, well...we can enjoy it while it lasts! That said, I don't personally care about Magical Drop 2. Nothing for me this week! Of course, Nintendo EXCELLS at that. Just the Cave Story Demo for me. However, I'm using this demo to decide whether or not to install the PC version. I'm not wasting 12 bucks on updated graphics and some extra modes when I can get the critically acclaimed original PC version for free. NEW DEMO ! WOO !!! I wonder how the portable version of cave story would turn out... and it's a good thing that magical drop 2 is out on VC, I love that game ! but where's the first one ? 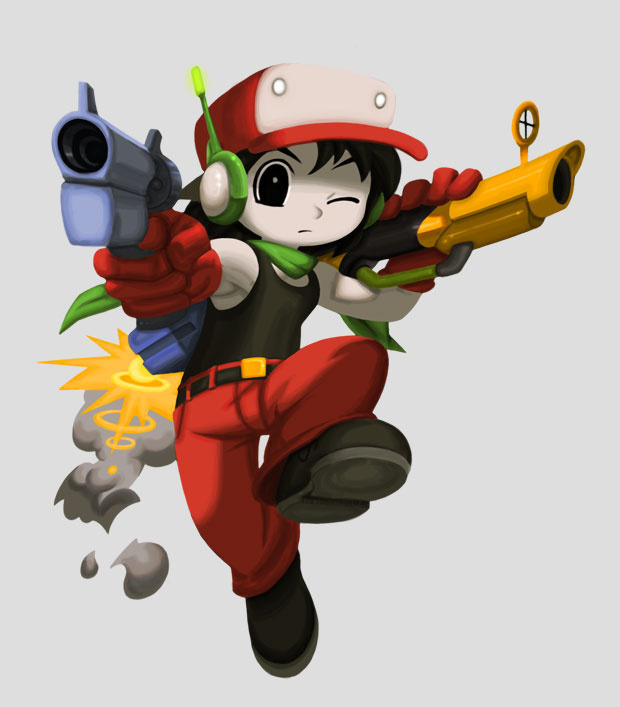 I hope Cave Story comes to Europe DSiWare soon...if it comes at all. Still, I'm happy you guys got a great week. @ Stuffgamer: you must be referring to the Wiiware and VC shop slowing down after the holiday season last year cause the DSiware shop released some pretty great games after Christmas. Anyone remember Dark Void, Starship Defense? @cheapo: Never played either, sorry. I don't really go out of my way to research most DSiWare...it just doesn't interest me much. VC has and always will be my main Nintendo download focus. In point of fact, I was referring to VC specifically, not even counting WiiWare in my statement.